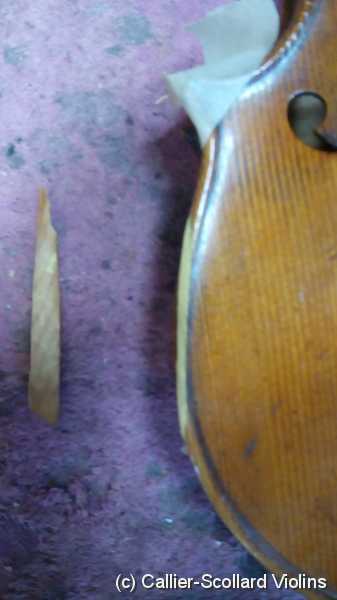 Violin family instruments sometimes get their edges damaged. 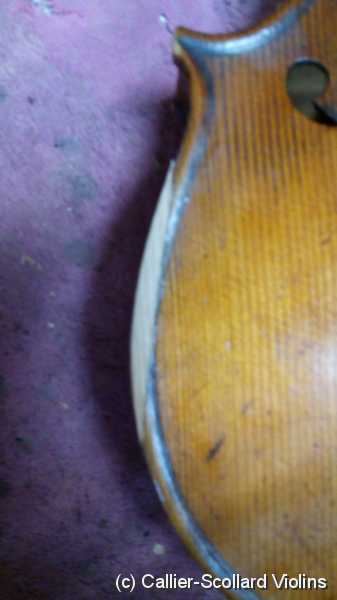 A new piece of wood can be added and then reshaped and the varnish can be matched. 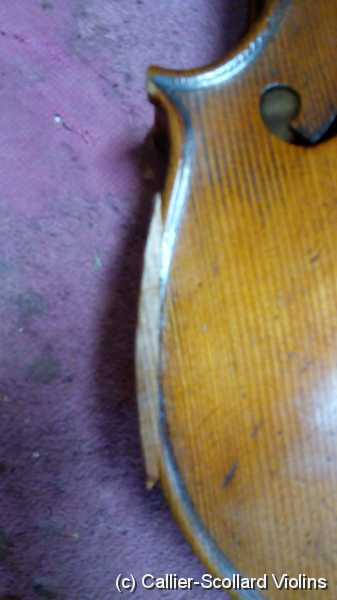 Here is another edge replacement. Oops I forgot to take a photo that showed the original damage. 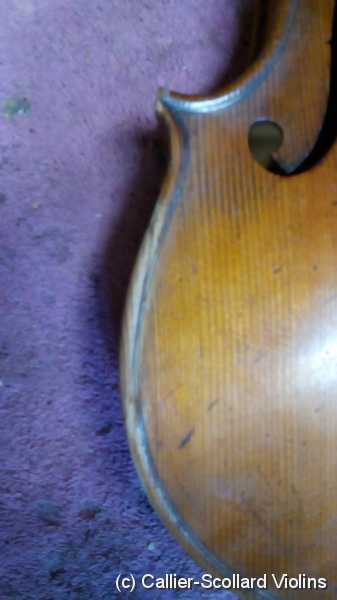 I have an old violin purchased in Austria. I believe the date of manufacture was 1877. Tragically the instrument was manhandled by a youngster. 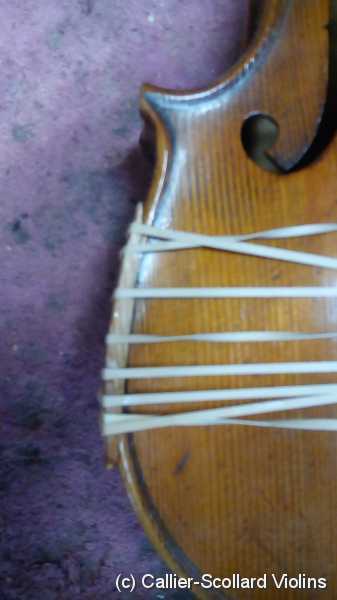 The bridge is lost and the bow needs restringing. 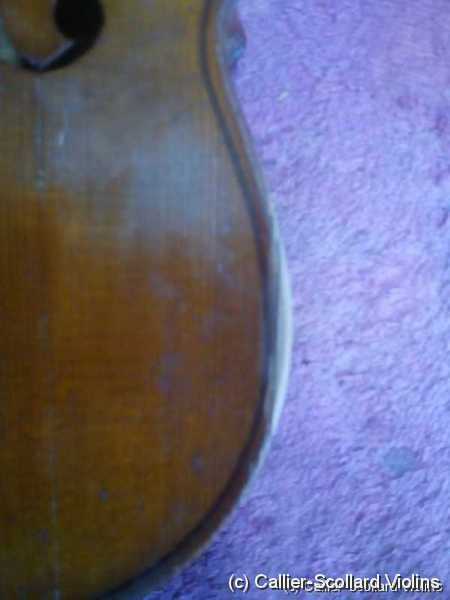 The handle must be glued to the body. Would you provide the repair service? 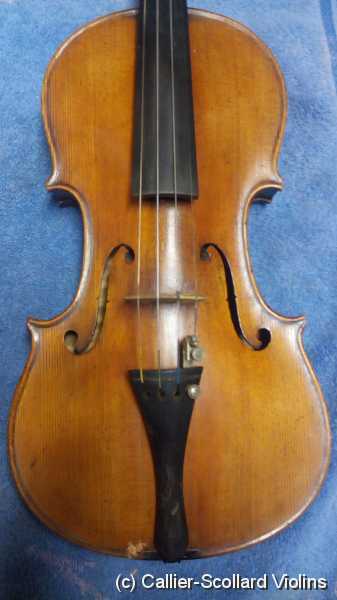 This instrument is intended as a keepsake. We are not violinists.